One of my old newsletter articles described 25 promotion-hindering behaviors by women in the workplace. Unfortunately, these behaviors are still happening, and still limiting women’s careers. Listed below are the first 11 points addressed in that newsletter, updated where necessary for today's workplace. Part two will be posted next week, and will cover the remaining 14 items. These discussions include speaking with power, establishing rapport, and professional image. 3. Interrupt. 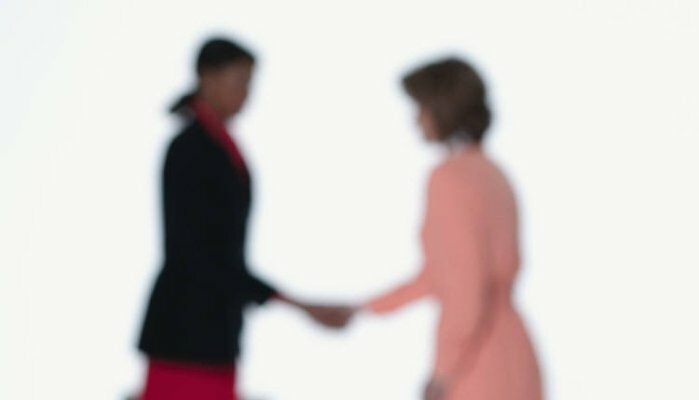 Interrupting can be an annoying speaking habit, but sometimes it’s vital for women to put aside the niceties to create an opportunity to speak. When interrupting, you can say, “To build on what you are saying…” or “We also need to discuss….” or something similar. 8. Toot your own horn. You don’t want to be obnoxious, but you must learn to speak well of yourself. There are a number of ways to do this. You can apply for awards and enter competitions. You can also post your accomplishments on your social media sites — just don’t mention the same accomplishment over and over. You can also weave your accomplishments into a story or illustration, as if you are offering the information for the other person’s benefit. For example, when I talk in seminars about how men tend to interrupt more than women during meetings, I mention comments from my seminar participants in Oman, in the Middle East. These remarks add to the discussion, and they also highlight my international experience. 9. Give formal presentations. Giving presentations increases your visibility within your company/department. As a bonus, it can help you become known as an expert. If public speaking makes you nervous, take a class on presentation skills. Giving effective presentations is a skill that can be mastered, with training and practice. Additional information on presentation skills can be found in my new book, The Communication Clinic.